Update: a Senate inquiry into pet food has been initiated as a result of this scandal. Click here to read my submission. Over 100 dogs have now been identified with megaoesophagus after eating Advance Dermocare. Here are the essential facts. Megaoesophagus is a strange disease of dogs where food gets trapped in a dilated sac between the mouth and the stomach. Dogs lose weight due to trouble swallowing their food, and often regurgitate it into the lungs. A cure is very unlikely and most affected dogs either die or are euthanased. How Do We Know It’s The Food? All we know is that 74 dogs developed the same condition after eating Advance Dermocare. While that doesn’t mean it’s definitely to blame, the fact that megaoesophagus is extremely rare strengthens the link with the food. This is another example of the difficulty separating correlation from causation. Is Advance Dog Food Safe? Only the specific product called Dermocare has been linked with health problems. Other Advance products are not affected by the recall and are likely to be safe. But Didn’t Dermocare Pass Its Tests? Mars Inc say that extensive tests on Advance Dermocare have not identified a cause. This was even one of the reasons given for delaying the recall. Their argument is somewhat naive, as we don’t know what causes the majority of cases of megaoesophagus anyway. You can’t test for something you don’t know. Nine police dogs in Victoria being fed Dermocare all developed megaoesophagus. Such a rare disease should never occur in so many dogs at a time. This led to Melbourne University becoming involved and the company was alerted late last year. Mars Inc. initiated a voluntary recall on the of 24th of March, 2018. How Does A Pet Food Recall Happen? 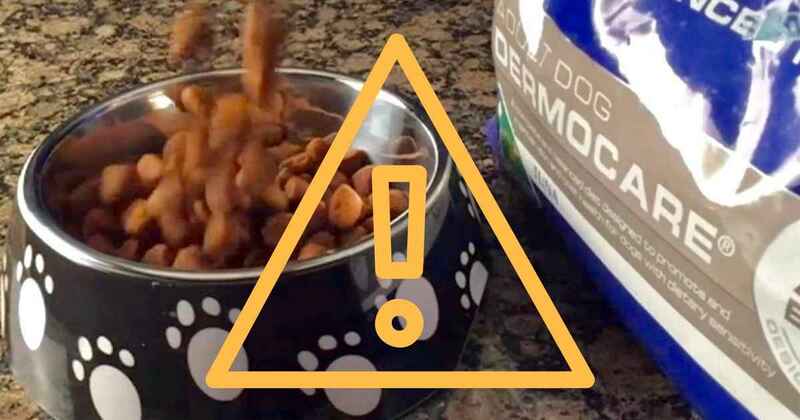 In Australia, a pet food recall is voluntary and can only be initiated by the goodwill of the manufacturer. Such a process is extremely costly and would shed unwanted publicity on the company involved. Not surprisingly, pet food recalls almost never happen in Australia. What If I Have A Problem With Pet Food? Unlike many other countries, there is no official body in charge of pet food safety to whom you can report a problem. If a vet or owner suspects a food-related illness, they can alert the manufacturer directly, or via the veterinary association’s Pet Food Adverse Event System. Up to 2018, this voluntary approach has led to precisely zero pet food recalls. How Does The USA Monitor Pet Foods? The US Food and Drug Administration (FDA) has a Pet Food Complaint reporting system. From these reports, it investigates cases where there may be a genuine problem. They then have the authority to order a product withdrawal if necessary. Visit their recalls page and you’ll see they make an average of one pet food recall a week. Doesn’t This Recall Show The System Works? A radio presenter said to me last week, “surely the fact that recalls are rare tells us that the system is working.” I said to him: “it’s the fact that we don’t hear of them that tells us it isn’t.” Reports and recalls are a part of any good monitoring system. In this example, Dermocare was trademarked seven years ago and has been on the market for many years. If it wasn’t fed to those poor police dogs we may never have realised what was happening. These weren’t the first dogs affected. Five cases in Victoria came from the same vet clinic, and two of these were from the same household. It is safe to assume that these vets would have reported this bizarre coincidence if there was a means to do so. I do not doubt that a recall system would have acted faster, and fewer dogs would have died as a result. Even worse, for all we know, there are other Dermocares out there right now. We have no way of knowing. Will Regulation Be Bad For Australian Companies? When you compare pet food monitoring around the world, you begin to understand why many people in the know won’t buy Australian. How crazy is it that we are blessed with some of the best raw materials on the planet but we refuse to pay attention to the next step. 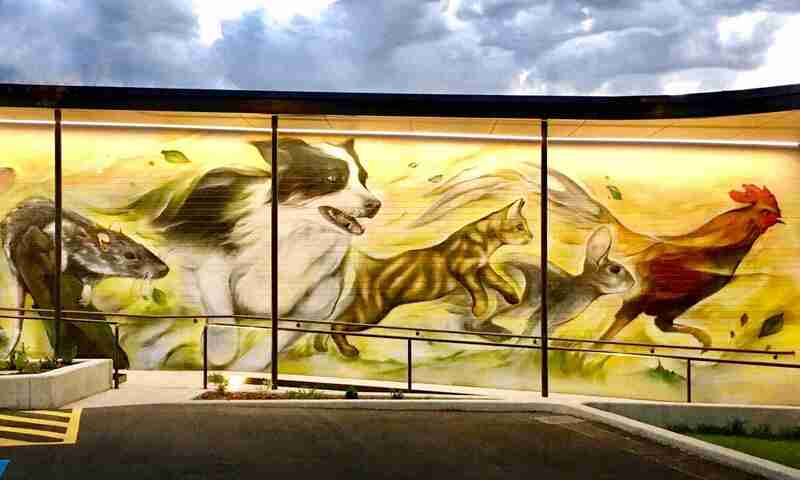 Good Aussie pet food manufacturers will be helped by a strong and reliable reporting system. Knowing we can identify and remove problem foods will make us trust the ones we buy. Perhaps controversially, I think we should be careful not to lay all the blame at the door of Advance and Mars, even if the food does end up to have caused these deaths. Mistakes happen, especially when the toxin involved is unknown to science. Without a failsafe system, the manufacturers are as much in the dark as we are. That’s my last point: even Advance themselves would have been better off with a failsafe system. Earlier notification could have saved not just dogs’ lives, but their own reputation. I don’t see them ever completely getting it back after this one. Do you have the details of the content of this Advance dermocare, megesophagus is treated by using Pericardium and stomach points/ acupuncture wise. A leap of reasoning suggests that this food contains something which alters these meridians.and associated nerves. Hi Charissa. We don’t have any details on what made Dermocare different to other foods and I’m not confident that we will ever be given a full ingredient list. I like your lateral thinking; my own theories are either low grade botulinum toxin exposure or a canine equivalent to dysautonomia (which was also food-related). Andrew, does NZ have a pet food safety regulatory body? Thanks Maree. I am not aware of a regulatory body in New Zealand but would be keen to hear from anyone else who knows more. Pet food processers in that country appear to be required to conform to a higher standard but it’s unsure of the degree of oversight or enforcement.